When my kids were about 18 months old, I became boring. At a time when my kids were starting to learn and explore I was becoming less like a mom and more like a babysitter. I felt like our days were filled with me just watching them and not really knowing how to interact with them. I would play with them, but I felt like I should be doing more. I was pretty desperate for a change, so I decided to look into ideas on how to teach them all while learning through play. Once I started looking I realized that it can be quite overwhelming to take on. There are so many resources out there thanks to the internet (ahem...Pinterest...). In hopes to make it easier on myself I found a curriculum for 2 year olds and use it as a loose guideline for structuring my day with the kids. In addition to the curriculum, I do browse pinterest and a couple of apps and sites that I have found to be very helpful. All of these things together make it a rewarding and fun experience teaching the kids new things. I love having a spot to show off their artwork! I am still learning as I go, but here are a few things that I have learned that might help you out! When I started teaching the kids I got lucky because we already had a table and a room big enough for setting up a special school corner. For your school spot just remember that it doesn't have to be a large spot or in a kid's room, it just needs to be somewhere special that the kids can sit and work on projects. Some people use their kitchen table and that works great! A lot of toddler activities are messy, so you want to make sure that they have a place to work where they can be cleaned up easily after they are done. This can be a daunting task when you are getting started, but having a few supplies on hand will help you give your kids a variety of activities. A few of the basics are cardstock/construction paper, glue, scissors, stickers, paint, and crayons. There are also some great recipes for making different kinds of paint and play doh for at home fun. For a more detailed post on getting started and what you need for stockpiling your art supplies, please check out my post HERE. I break down what I keep on hand and some things to think about keeping instead of throwing out! I don't always follow through with this one, but it does make it much easier to schedule out what you are going to do in case you have to buy any supplies for the week. I try to sit down once a week with my curriculum and iPad and make a list of things to do with the kids. It helps me to stay focused on the task at hand. The curriculum I use is the Hands on Homeschooling 2 year old curriculum. 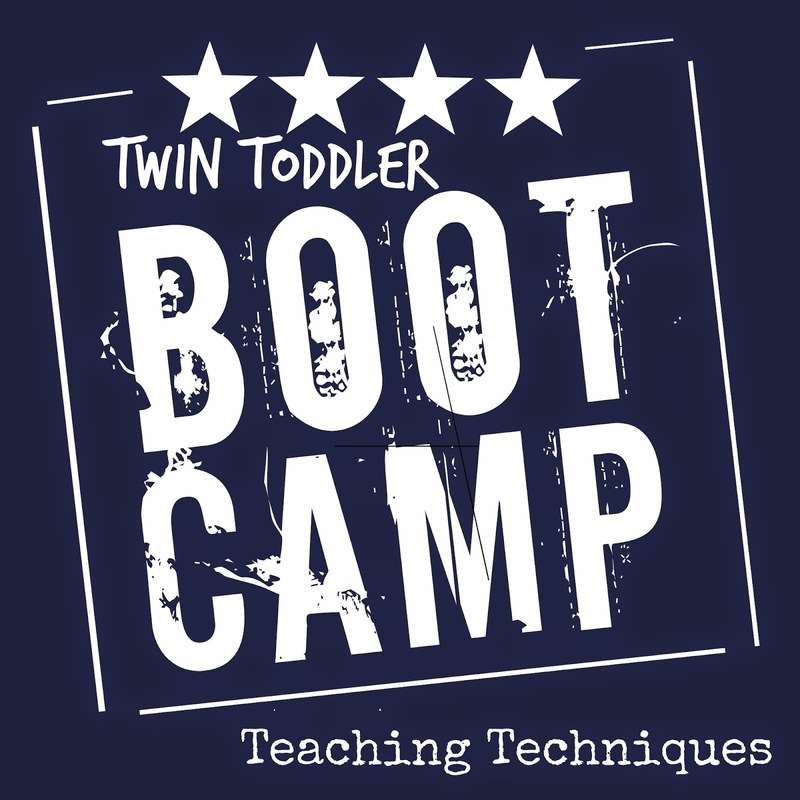 It was developed by a fellow SAHM and is a great layout and guide for teaching little ones at home. As part of our daily routine my kids also watch the Preschool Prep Company DVDs. I seriously can not say enough great things about these videos! My kids love them and have learned so much from watching them. Finally I take to the internet to find some extra activities or to modify the curriculum. My favorite sites/apps for finding activities are Pinterest, Kiwi Corner App, and Pro Parenting App. (I in no way am monetarily compensated by any of these companies and am only sharing my own findings for what works for my school planning for my family.) These are all great resources for finding fun learning activities for your little ones! Reading makes such a huge impact on a child, so I try to always incorporate some reading and books in our day to day schooling. It can be anything you like! I personally use different Bible stories that we read each week. The reading time is probably the most difficult because it requires them just to sit and listen, but with time and persistence they will learn that there is a time and place for sitting quietly-a trait that I know some other moms out there find appealing! If there is one thing I have learned while teaching my kids is that kids don't always do what you expect. I am super OCD and this has been hard to overcome, but it helps to just learn to deal with it! In general I show the kids how to do something and then I let them try. If they don't seem to catch on, we simply try another activity. Sometimes it is just easier to let it go and move on. Then other times they catch on quickly, but then decide to take it in a whole new direction. That's ok too! They are having fun exploring their world in their own way and they are learning even when it doesn't seem like it. It's best to just let them enjoy it! Sometimes you might not have all of the materials you need, but that doesn't mean you can't make your own! When in a pinch, try to think of out of the box ways to do something. For example, I planned an activity that required yellow paint and that was the only color I didn't have on hand. So I made some with glue and yellow food coloring. It worked just as well and made use of materials I already had around the house. It doesn't always have to be exactly how the activity calls for it! 7. Sometimes the more simple the activity, the better! A lot of the time my kids have more fun with a super simple activity. It helps to have an easy and stress free activity for everyone to just have fun! Sometimes it is as simple as walking around your home and pointing out objects and what they are called. Another easy activity is simply tossing a ball in a basket. Don't get hung up on making all activities labor intensive and works of art. Simple activities are great and relaxing for all of you! This doesn't mean have your kids in an all day school, but always be conscious of teaching while you go about your day. Around here I count things all the time and the kids have picked up on it. They count to 10 all day long. The repetition they hear will really stick with them! We not only practice the normal things like counting and colors, but also how to clean up after ourselves and take care of our things. Anything can be a fun learning activity, even wiping the table after dinner! They are learning really important things daily from the example that you are setting them, so it's even better if you are having fun with them! Take my word for it, some fun physical activity makes all the difference! Sitting and learning letters and numbers can be fun, but it quickly loses its appeal after sitting for a long period of time-no matter how fun the activity! Sometimes letting your kids take a break and run off some steam will make them better prepared to pay attention and try again later. Fun games like Ring Around the Rosie and the Shape Hop (details at the bottom of post) are simple and let them learn while exercising! It's always a fun treat to take a field trip! I attempt to take the kids somewhere once a week, but it doesn't have to be anything crazy. Sometimes we simply go to the park and talk about the colors we see. Other times we go to the store and find letters or count items. Or if we are feeling more adventurous we try a museum, the post office, or a play. There is always an opportunity for learning wherever you take them. The key is to have fun and try something new! Our trip to the Botanical Gardens! 11. Never underestimate your toddler! This is the biggest thing I have learned so far. There are times when I'm hesitant to try an activity because I think that they can't handle it. Take my advice and LET THEM TRY IT! I would have never thought that my kids could use glue sticks, but I took a chance and let them and surprisingly they did great! You never know what they can do until you let them show you. There are also days when I feel that my kids aren't learning a thing and have the attention span of a hummingbird. But even when they seem too busy to pay attention to you, they are still absorbing things! To Play: Tape down some shapes or take the fun outside and draw some shapes on the sidewalk with chalk. Then simply call out a shape and have the child find it. Easy! Make the game your own by having the child perform an activity on the shape. Learning body parts? Have them touch their nose, clap their hands, kick their feet, etc. This way they learn shapes and body parts! If you are working on letters you could even draw or tape down letters and have them find the letters instead. This activity is really versatile! To Play: For this activity you need a spray bottle with water and some foam letters (like the kind you buy for the tub), shapes, or numbers. Simply spray some water on a window or dry erase board and stick the letters to it. This activity can be played a few different ways, too. Have some shapes out and have them find the shapes. Or find certain colors. Or even make words with the letters. To Play: Mix equal amounts of flour, salt, and water in a squeezable bottle (glue bottle, condiment holder, etc). Squeeze paint onto dark paper. 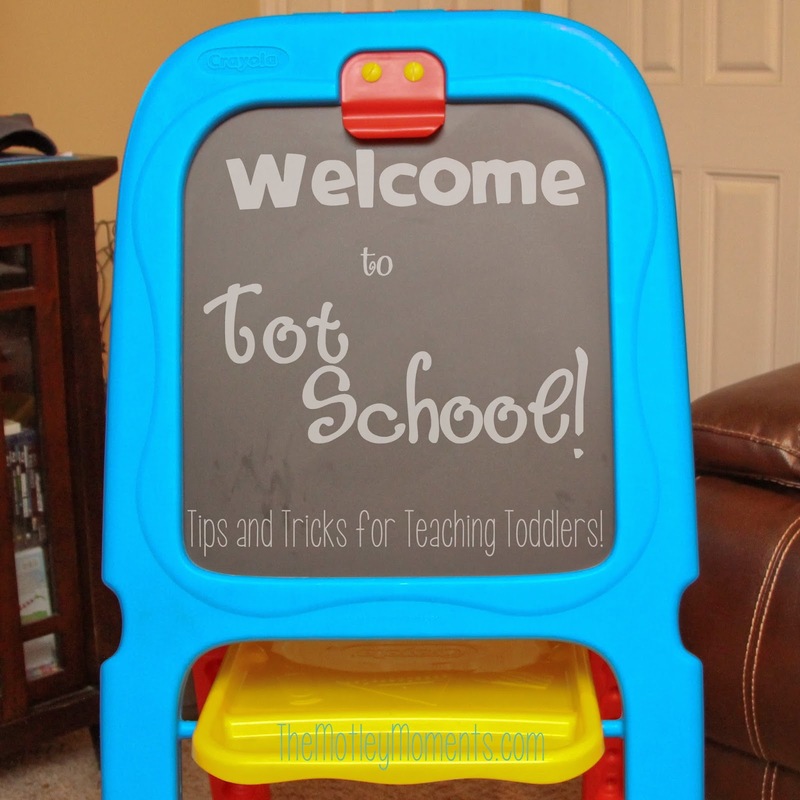 I hope that if you decide to start homeschooling your toddler that it is as rewarding for you as it has been for me. There's nothing quite like seeing your child learn something new and knowing that you taught them! For more fun toddler activities I would love to have you visit my blog at themotleymoments.com!